The big day has arrived! Are you excited? Are you nervous? We know exactly what you're going through. But do not worry, our experienced team will make sure that the adventure that you are about to have will be unforgettable. 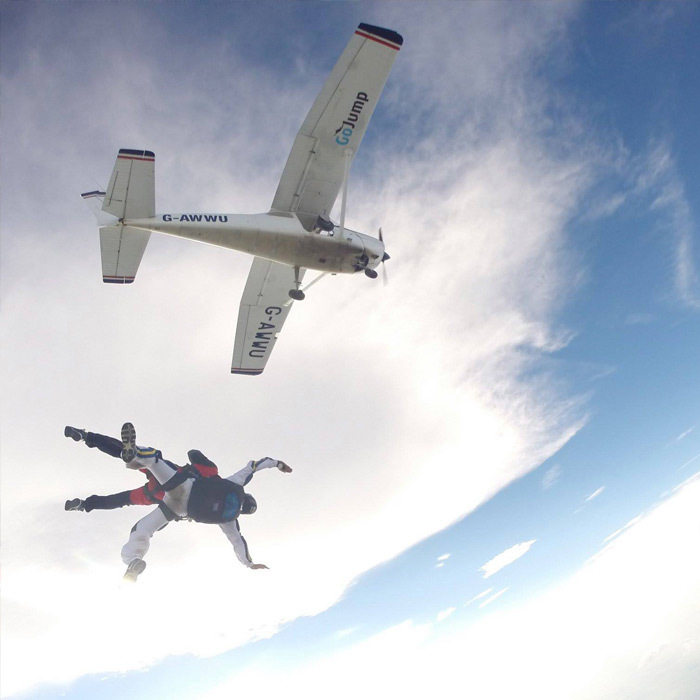 Tandem parachuting allows you to experience the thrill of freefall skydiving without any extensive training. After a short briefing about the exit from the aircraft, control in freefall and the landing, you will take off for a 20 minute flight, Securely attached to a qualified instructor, you will jump and taste the amazing feeling of freefall at 200 km/h. After the instructor opens the parachute, by no means has the experience ended. You can then enjoy 5 minutes of flight. We look forward to presenting this sport that we love so much. Come to the airfield, and enjoy great moments! In case of adverse weather conditions, we will reschedule your parachuting session for a more appropriate time. Safety is our top priority and we do our best to measure weather conditions. 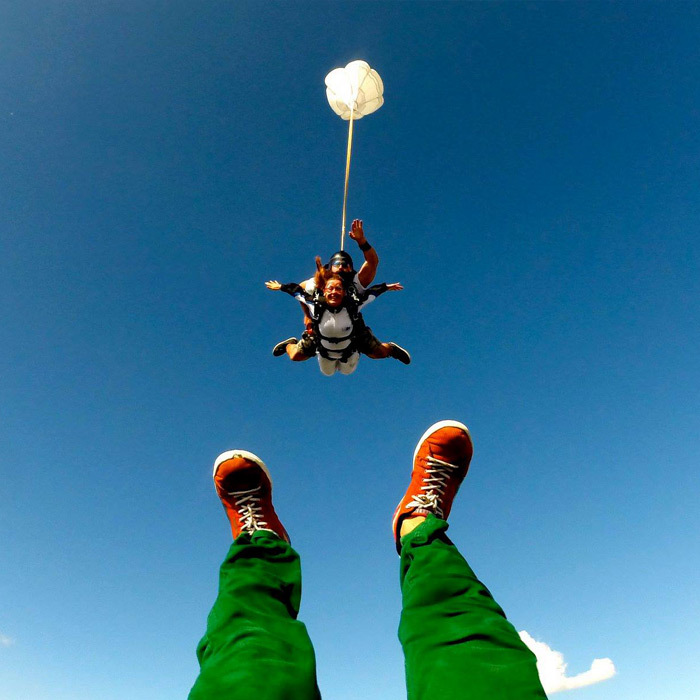 To relive your first jump and to share this moment with your loved ones, we offer you photo / video services that will contain all the steps of the jump, filmed and / or photographed. These services are available in our parachute packages, for more details see the price list. Minimum age of 14 years. Those under 18 must have parental consent either by a notarized signature or the parent must come on the day of the jump and sign the forms in person with their ID to support it. If you are aged 60 years or over you need your Doctor to sign and stamp a medical form stating that you are fit for this activity. The weight limit with clothes and shoes on is 85 kg (13 stones or 185 lbs), each jumper is weighed when they check in on the day of the jump. People of varying levels of disability can participate in a Tandem skydive, however we must know the full details in advance.